S15 Sukhumvit Hotel is a modern four star hotel that’s located right on the corner of Suhkumvit Road and Sukhumvit Soi 15. The hotel has large, spacious rooms that are decorated with modern furniture. The rooms’ bathrooms are especially nice, with deep bathtubs and modern tiling. 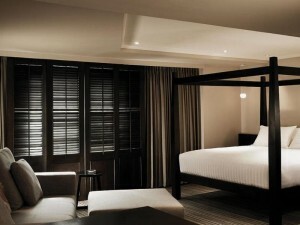 Many rooms have four poster beds and sofas. All rooms come with free high-speed Wi-Fi. A great location on Sukhumvit Road and a short walk from Asoke BTS station, Terminal 21 and Soi Cowboy make S15 Sukhumvit Hotel a good four star choice for people on a medium budget.